The final quarter of the last century was a period of extraordinary fervor in American letters. 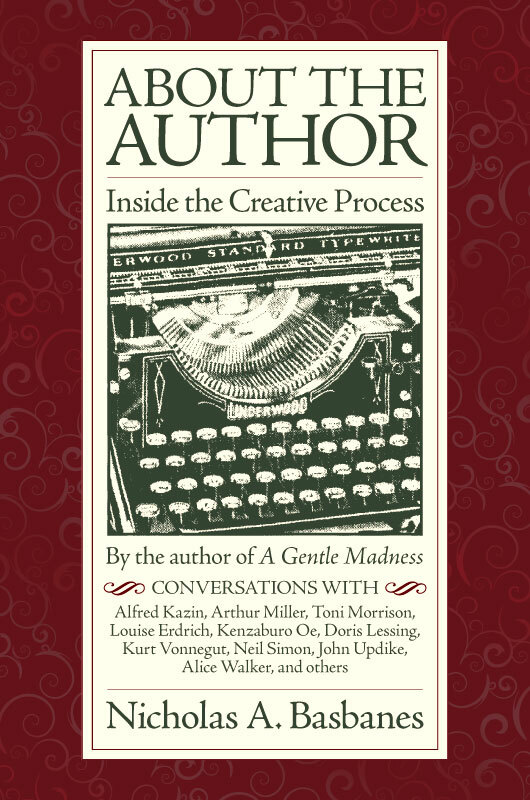 About the Author: Inside the Creative Process collects together more than forty of Nicholas Basbanes’s interviews and essays that grew from this unique period of publishing. 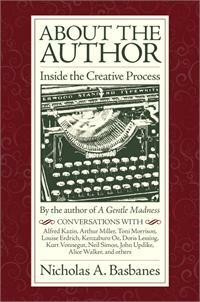 About the Author publishes for the first time the full interviews with important writers such as novelists A. S. Byatt, Joseph Heller, Edna O’Brien, and Kurt Vonnegut; the critic Alfred Kazin a few months before he died; and columnist Jimmy Breslin just after he had suffered an aneurysm. With the loss of so many of these writers and the imposing behemoth called the Internet, this sort of collection may never again be culled from the morning papers. As alive and refreshing as the day they were published, About the Author explores the creative process that was—and is—the foundation of books and publishing.